John Desmond Clark, British archaeologist noted particularly for his work on prehistoric Africa, was born on this day. John Desmond Clark FSA, more commonly J. Desmond Clark, April 10, 1916 – February 14, 2002. Extract: In 1953, Clark ordered an excavation at Kalambo Falls, a 235m high, single-drop waterfall at the southeast end of Lake Tanganyika, on what is now the border between Zambia and Tanzania. The site would eventually emerge as one of the most important archaeological finds of the twentieth century, providing a record of more than two hundred and fifty thousand years of human history. To date, artifacts of Acheulean, Sangoan, Lupemban, Magosian, Wilton, and Bantu cultures have all been found at the falls. 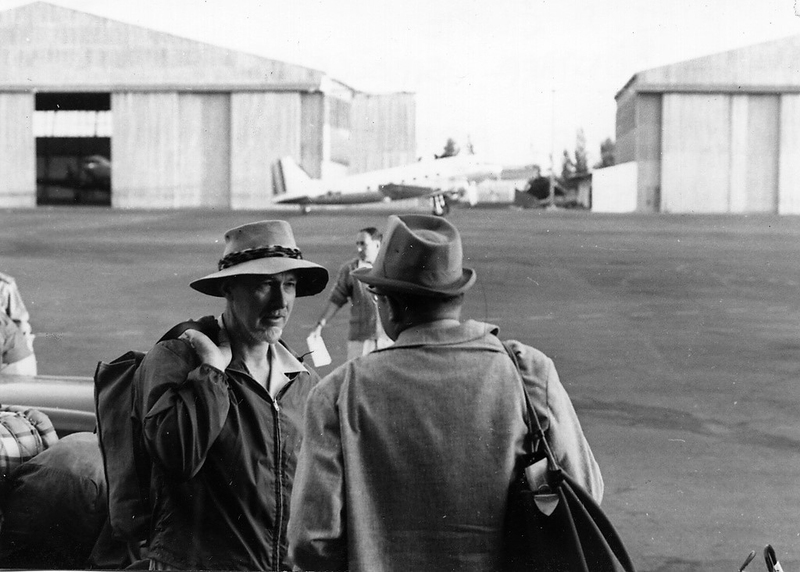 Clark also undertook significant fieldwork in Ethiopia, Somalia, Malawi, Angola, and Niger, some of which led him to collaborate with Louis and Mary Leakey.